The price for an embroidery on your saddle pad is € 8,50 per side per name, with a maximum of 12 characters. Colour of choice. Text is standard embroidered diagonally in the corner. Choice of block letters or decorative letters. Click here for an embroidery with decorative letters on a saddle pad. Click here for an embroidery with block letters on a saddle pad. Delivery time approximately 1 week. Rush orders are negotiable. If the saddle pad is filled thicker than average, after agreement a higher price is calculated. Embroidered products cannot be exchanged / returned and have to be paid in advance, before the product is embroidered. 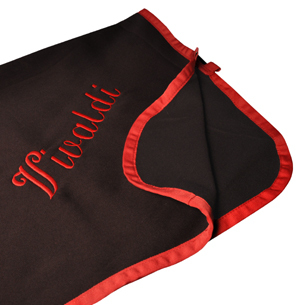 The price for an embroidery on your saddle pad is € 12,50 per side per name, with a maximum of 12 characters. Colour of choice. The text is standard embroidered diagonally in the back corner (the buttock) of the rug. 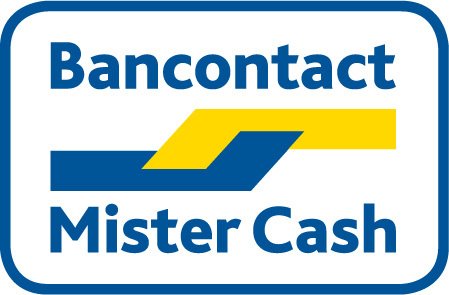 Choice of block letters or decorative letters. Click here for an embroidery with decorative letters on a rug. Click here for an embroidery with block letters on a rug. Fleece rugs, wool rugs and unlined rain rugs can easily be embroidered. Rugs thicker than 200 grams can not be embroidered. From 10 rugs embroidery is available on request. For embroidery of logos on rugs, saddle pads and clothing a quote can be requested by sending a mail with the necessary information to shoppers@ooteman.nl. Above prices are only valid for saddle pads and rugs purchased at Ooteman Equestrian. For an article which is not from the collection of Ooteman Equestrian the price will be higher.